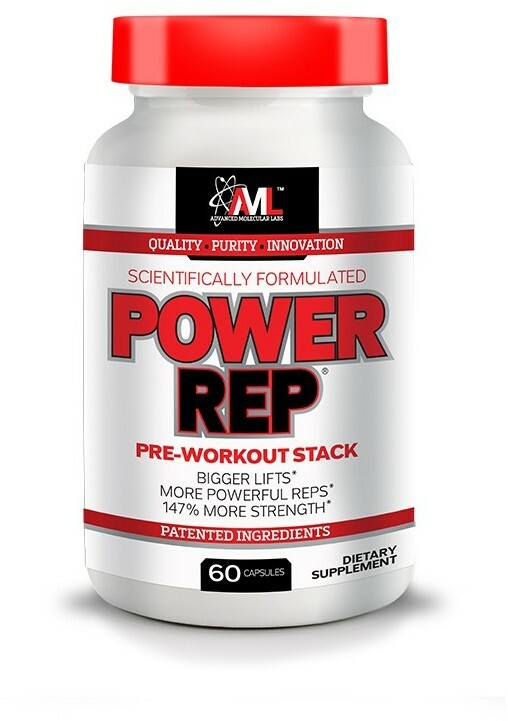 In mid-2016, we blogged about a stimulant-free pre workout 'additive' called Power Rep from a new company named Advanced Molecular Labs, or AML. We were merely interested in the supplement at the time - but little did we realize how intense this entire brand would be! AML got the better of our curiosity and we started to dig a little deeper into the company, their other products, and just what kind of following they're starting to amass in the industry. As it turns out, they’re run by an industry veteran who's been designing supplements for longer than many of us have been alive and they have quite a few unique things going on. Their userbase is smart and educated about supplements and fitness as well. So, sit back, relax, and enjoy as we give you the lowdown on one of the emerging entities in the bizz, after you sign up for AML news alerts and price drops with the button above. It all starts with Steve. Meet the brains (and brawn) behind AML, Steve Blechman! The name Steve Blechman may not be too familiar to you, but he quietly made some of the most well-known and heavily used products in the industry for nearly three decades! Steve got his start in the industry in 1974(!) with TwinLab, one of the original trailblazers of the supplement industry whose products are still around to this day. We could list another 10-15 more products that Steve had a hand in developing, but you get the idea: this man has been heavily influential for a LONG time! Without him, we'd either not have some of these ingredients, or we'd have gotten them way later in the game - which means the quality research would have come later too. For that, we already owe Steve a lot. 27 years is a long time, though. Hell, some of us haven't even been around for that long, and nobody here at PricePlow was even born when Steve started at TwinLab back in 1974! So after 27 great years, Steve was ready to tackle a new challenge in business and acquired ARP (later renamed to ARM - Advanced Research Media) from TwinLab in 2001. At the same time, he also stepped down as Executive V.P. of Product Development to focus solely on developing ARM. In case you weren’t aware, ARM publishes some of the top-selling muscle mags in the industry including: Muscular Development, FitnessRx for Women, and FitnessRx for Men. You know how those 15 years went - every one of those magazines exploded in their own right, and successfully making the transition to online and social media while still keeping the quality high. These are some of only legit print magazines still out there! Yet... the allure of Steve’s first love as a product developer kept calling, and in 2014 he decided to jump with both feet back into the supplement arena, resuming product development, research, and manufacturing. This led to the creation of Advanced Molecular Labs, and is why we're here today. When starting AML, Steve wanted to bring in some of the top researchers, scientists, physiologists, molecular biologists, biochemists, pharmacists and physicians around to create and manufacture premium health and performance products utilizing the very latest in sports nutrition. 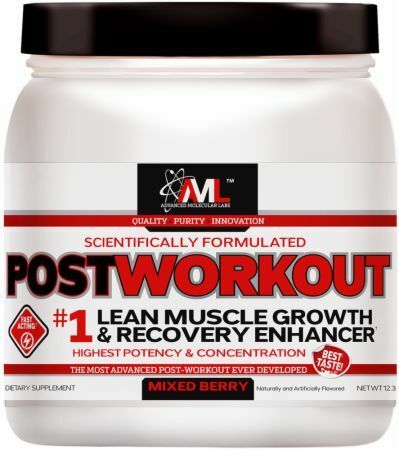 We saw this first hand when we covered AML’s Power Rep and noted that they were using one of the newest yet underrated strength boosting ingredients around in Peak ATP. One really cool facet to AML is that they donate a portion of the company profits to university studies at certain prestigious institutions to help support and advance the science of human performance nutrition and health. Our readers rely on these studies, and it's good to support the brands who support the educated consumer. We haven't heard of too many companies around that do this either! AML is clearly dedicated to making new and interesting products based on the latest credible research that comes out of the sports nutrition arena. This means we can expect to get some really innovative products, and from our side of things, it means getting to learn about new ingredients and creative formulas that actually work, as opposed to other “innovative” formulas that are retreads of herbal ingredients that do jack squat. AML's consumers know the above sentiment, too. When the brand shared our Power Rep article to their social media, readers averaged well over 6 minutes on the page reading, many of them clicking the citations and checking out further research on the Peak ATP ingredient inside. Our kind of customers! The name gives it away, but yes, this is the brand’s pre workout supplement that’s more than just your typical stim bomb with a sprinkle of pump. 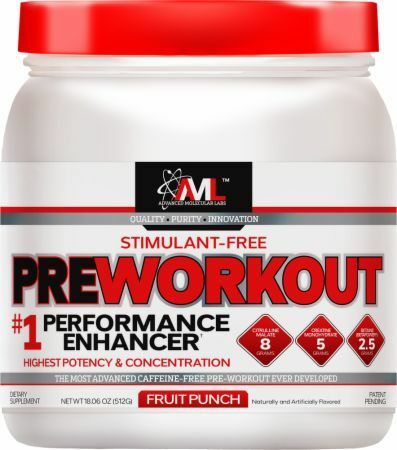 AML Pre Workout is a high energy / focus pre with 400mg of caffeine and N-Acetyl Tyrosine. There’s so much more though, as you’ll get clinical doses of creatine, citrulline malate, and betaine to really amp up your power and strength during the workout. If you can handle the stim load, the full scoop profile is impressive and should make for some serious gains. This isn't your little sister's concentrated pre workout - the scoop weighs in at a legendary 24g and is just packed with the ingredients listed above and more! 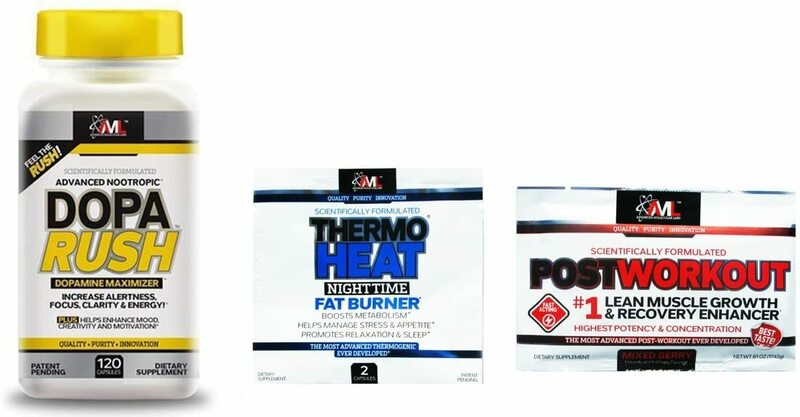 Every brand has a fat burner these days, but AML’s is a touch different. It’s got a moderate load of caffeine at 250mg / serving and an amalgamation of several other proven herbal fat burning, appetite-suppressing ingredients to help you get lean and mean in record time by zeroing in on Brown Adipose Tissue (BAT). The stimulant-free, thermogenic portion of this product is used in a couple other supplements below, and really has some zing to it. The brand’s stimulant free pre workout 'topper' that can be stacked with AML’s Pre Workout to further enhance strength and power with the inclusion of Peak ATP as well as a high dose of synephrine (not often seen in pre workouts) and Theacrine. Another straightforward supplement intended to be used following your intense physical activity for the day. The combination of Leucine, Creatine, and Betaine (all at clinical doses) will help support recovery and growth in the aftermath of your metal destruction. With this supplement, you won't need to worry about any other creatine or betaine in the rest of your day - the doses are set. Just like AML's Pre Workout, the scoop packs a whopping punch, weighing in at 17g - no cheap carbs in there, either. AML's most underrated product, given our testing! This is a stimulant free fat burner to take before settling in for the evening that’ll keep your body in a pro-lipolytic state while you get some much needed rest. Included ingredients such as L-Dopa and L-Theanine also help you relax and slip into sleep much quicker! The brown fat fighting ingredient blend is the real deal, though! 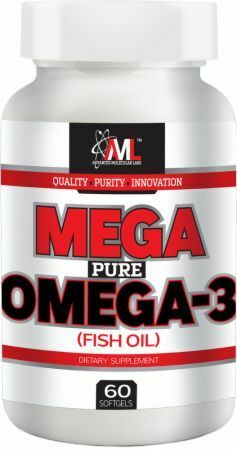 The brand also has a Mega Pure Omega-3 Fish Oil as well as a metabolism boosting multivitamin (brown adipose tissue fighting thermogenic blend included) in case you were wondering. Our readers are just typically most interested in the fat burners and pre/intra/post type products. Don't sleep on that multivitamin if you're dieting though -- the added fat burning ingredients are worth looking into - you definitely feel the heat! We expect more from AML in 2016 and 2017, so follow us on Facebook or sign up for AML alerts below to stay up to date! Ladies and gentlemen, Steve Blechman is back. The number of up and coming supplement companies may seem rather overwhelming these days, but very few of them come with the history and prestige that Steve has brought with AML. The company’s dedication to research and development sets it apart from all of the other upstarts that merely repackage the same old formulas but with a new name and shiny label. If you're a fan of Muscular Development, FitnessRx for Women, or FitnessRx for Men, then you're probably already a fan and you didn't even know it yet. 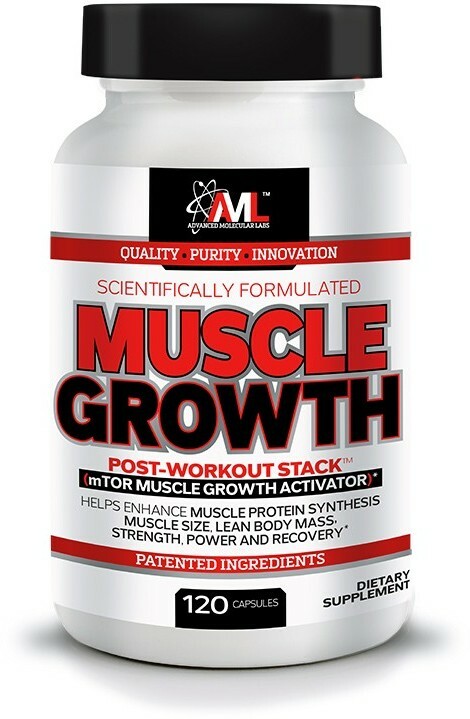 Expect to see some innovative, interesting, and above all effective formulas coming out of the labs at AML. We’ll all be waiting with much anticipation! Sign up for future Advanced Molecular Labs news! Click the button below to sign up for future Advanced Molecular Labs news, deals, coupons, and reviews! Sign up for future Advanced Molecular Labs deals and coupons! Click the button below to sign up for future Advanced Molecular Labs deals, news, and coupons!